CarGurus has 86,984 nationwide Equinox listings starting at $1,000. An increase in room in the Chevrolet Equinox as well as its refined engines are two welcome changes for 2010. 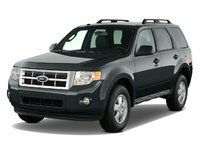 Numb steering and an annoyingly large turning radius need immediate attention, as they seriously hamper the experience in the 2010 Equinox. Chevrolet’s attention both to the Equinox specifically and its entire model lineup generally deserves praise, despite the perceived inspiration to do so. The Equinox’s two engines provide buyers with the option of an economy crossover or a utility vehicle ready for medium duty. A bit more attention paid to the steering could shore up what is already a competent package. In this second generation of what is now a crossover, the Equinox enjoys new direct-injection engines, a new look, and some add-on features. Available in LS, LT, and LTZ trim levels, the front-wheel-drive (FWD) crossover shares its platform with the GMC Terrain and is available in AWD across the model line-up, an option that also adds a limited-slip differential. All engines and configurations come with a six-speed automatic transmission. The new Chevrolet grille is found here, with its aggressive fender flares and retooled headlights, and the design continues throughout both the vehicle and the rest of the Chevrolet line. The overall redesign has also led to a more aerodynamic profile, resulting in a drag coefficient drop from 0.42 to 0.36. Couple this with the redesigned engines, no roof rack, and the optional 17-inch, low rolling resistance tires, and buyers could find themselves besting the EPA estimates. In fact, an ECO button on the dash will remap transmission-shift strategy and provide a more aggressive fuel shutoff when coasting, something the EPA only takes into account as part of an average when testing, so these are not unreasonable speculations. New for the 2010 model year are two direct-injection engines, which promise comparable performance with improved economy. 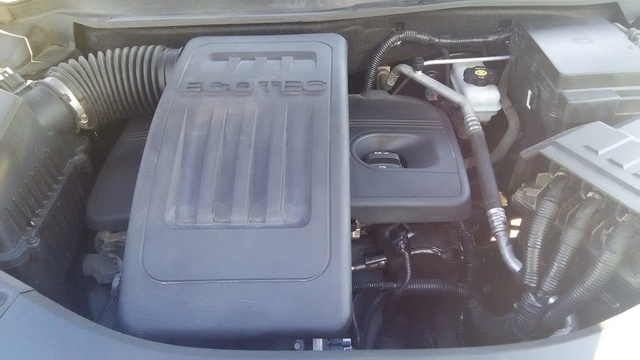 The base engine, a 182-hp, 2.4-liter Ecotec four-cylinder comes 3 hp shy of meeting the power output of the outgoing model’s base 3.4-liter V6. However, that same comparison when looking at torque has the 2.4-liter coming up 38 lb-ft short. The trade-off for that power loss is an increase in fuel economy, an impressive 21/30 mpg. With a maximum towing capacity of 1,500 pounds, the 2.4 won’t serve everyone’s needs, so Chevrolet is offering an optional 3,500-pound-capacity 3.0-liter direct-injection V6. Producing 255 hp and 214 lb-ft of torque, this engine misses the outgoing 3.6-liter V6’s hp numbers by 9, and also falls short in torque, by 36 lb-ft. However, fuel economy is similarly increased to 18/25. Special attention has been paid to the fuel injector system in this engine, with rubber isolators added to the fuel rail to eliminate metal-to-metal contact for quieter operation. A four-wheel independent suspension enables nimble handling, and a wider front track over last year’s model increases control and road feel. The power-assisted steering is now electronically controlled, which GM claims accounts for an increase of 11 miles per tank of gasoline, but testers have complained about a lack of road feel. GM hopes these changes will result in better handling and composure over previous years, a point of contention with testers and owners alike, and testers have confirmed their suspicions. An inconveniently large turning radius frustrates around-town drivers, however. The Equinox’s interior has been redesigned with a dual-cockpit layout, new controls, and readouts as part of GM’s commitment to increasing the quality, fit, and finish of its vehicles, an area where its competitors have had the advantage of late. As seems typical of late, a well-designed interior is marred by an unnecessarily complex navigation system, with a confusing array of touch-screen controls and traditional buttons. The improvements are a huge improvement over previous years, and have seen much praise, both for design and functionality. Special note should be made of the rear seats, which are much more comfortable and now truly capable of keeping adults comfortable for long trips. Overall, there has been a vast improvement in space, fit, finish, design, and comfort, pushing the Equinox to the top of its class in this regard. Dual front, front-side, and curtain-side airbags with rollover deployment have earned the Equinox a five-star rating in all NHTSA tests excepting rollover, which has yet to be reported. The 2009 Equinox earned four stars in that test, however. Additional safety features include four-wheel antilock disc brakes with brake assist, an anti-skid system, hill ascent control, and daytime running lights. The 2010 Chevrolet Equinox's engine improvements have received praise, but it’s been far outweighed by the response to the redesigned interior, although some cheap materials should balance that out as the freshness of the 2010 Equinox wears off. 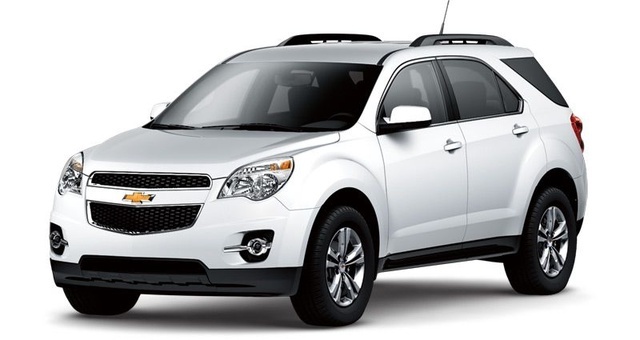 What's your take on the 2010 Chevrolet Equinox? Users ranked 2010 Chevrolet Equinox against other cars which they drove/owned. Each ranking was based on 9 categories. Here is the summary of top rankings. Have you driven a 2010 Chevrolet Equinox?